Does anyone have any photos of this? One of these is going to be my next grill purchase. 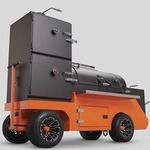 Check out the main Yoder Smokers page on Facebook. Great thanks. Thats a great looking grill. Is this something that is going in production or just a few here and there? Chef Tom needs to put out a video using one.